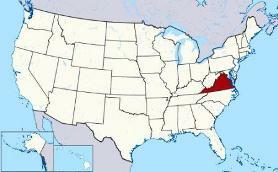 The Map of Virginia and county map provides an outline of its jurisdiction, which covers 42,769 sq. miles. Test your recognition skills and knowledge with our State Maps Quiz Game. 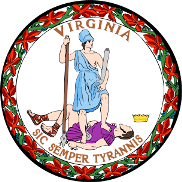 Fact 3: Virginia is the 35th biggest state in the USA. 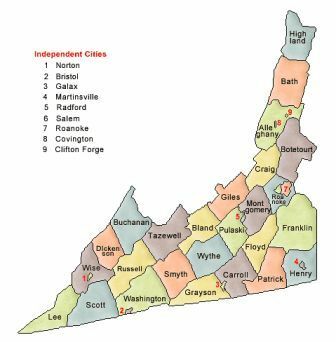 The following facts and information provide a map of Virginia with counties, together with a helpful list of Virginia counties. The power of a county arises from state law and these vary according to each state. In America a county was among the first units of local government established in the 13 Colonies that would eventually become the United States of America. 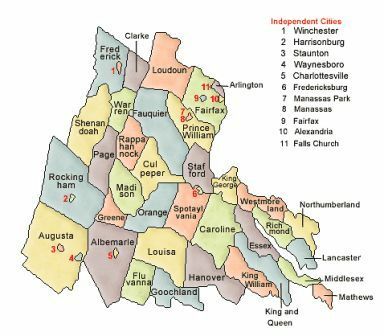 Find the location and names of all the Virginia counties. Accomack, Albemarle, Alleghany, Amelia, Amherst, Appomattox, Arlington, Augusta, Bath, Bedford, Bland, Botetourt, Brunswick, Buchanan, Buckingham, Campbell, Caroline, Carroll, Charles City, Charlotte, Chesterfield, Clarke, Craig, Culpeper, Cumberland, Dickenson, Dinwiddie, Essex, Fairfax, Fauquier, Floyd, Fluvanna, Franklin, Frederick, Giles, Gloucester, Goochland, Grayson, Greene, Greensville, Halifax, Hanover, Henrico, Henry, Highland, Isle of Wight, James City, King and Queen, King George, King William, Lancaster, Lee, Loudoun, Louisa, Lunenburg, Madison, Mathews, Mecklenburg, Middlesex, Montgomery, Nelson, New Kent, Northampton, Northumberland, Nottoway, Orange, Page, Patrick, Pittsylvania, Powhatan, Prince Edward, Prince George, Prince William, Pulaski, Rappahannock, Richmond, Roanoke, Rockbridge, Rockingham, Russell, Scott, Shenandoah, Smyth, Southampton, Spotsylvania, Stafford, Surry, Sussex, Tazewell, Warren, Washington, Westmoreland, Wise, Wythe, York. 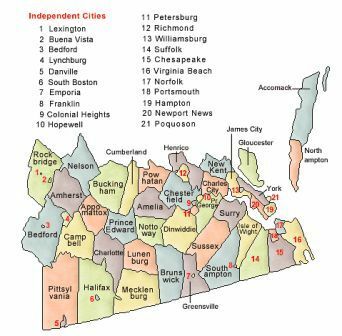 The Map of Virginia provides an outline of the state and the Virginia County Map provides the name of all of the counties in the state. The Government of the United States is based on the concept of federalism, meaning self-governing units. Power is shared between the National Government and State Governments, such as Virginia, and defined by the Constitution of the United States of America. 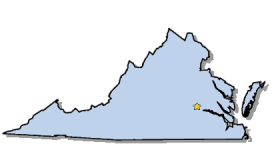 The State Borders, or State lines of Virginia, define geographic boundaries between each state.